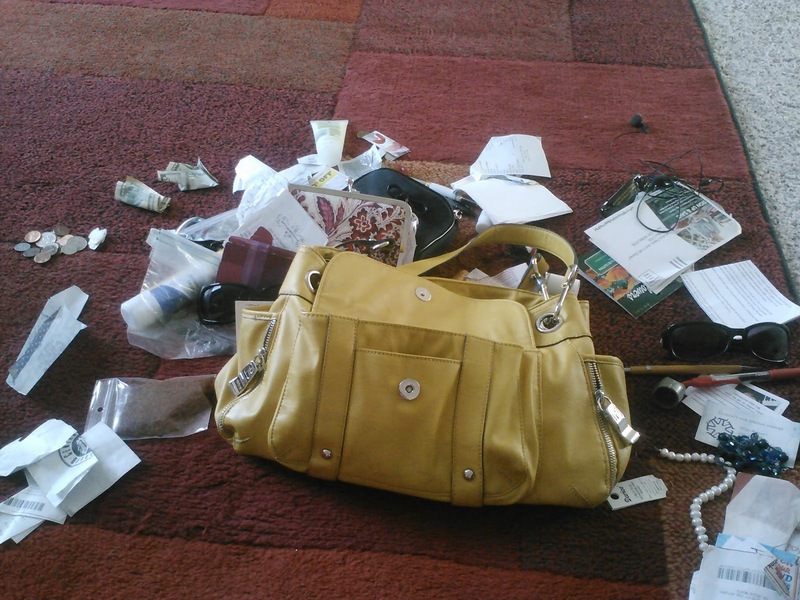 Hillary Manton Lodge Fiction: National Clean Out Your Purse Day! If you told me that there was a government conspiracy to make the month of April, like, *disappear*, I would totally believe you. If you said there was an ongoing plot to do the same thing to May, I would nod my head emphatically. We *have* been traveling a bit. In the last month, we were in Eugene (briefly), Bellevue (briefer), Kelso (briefest), and Portland (least brief). Oh, and the weekend before we went to Eugene, I went to Weston, OR with our church's high school girls. Because of this, my purse has a serious case of Travel Bag. A lesser person would be too proud to share with you the contents of this bag. It's a lot. Maybe it doesn't look like it. Maybe this looks like a nice, slender purse to you. But let me tell you, when I dumped this puppy out, I decided I needed to put on an episode of Arrested Development, because I was going to be here for a bit. Rittersport chocolate in wrapper, opened and nearly empty. If I sort through the items in my purse once a week, it really is easy to stay on top of it. It takes only a couple of minutes to keep it up. How great is that? 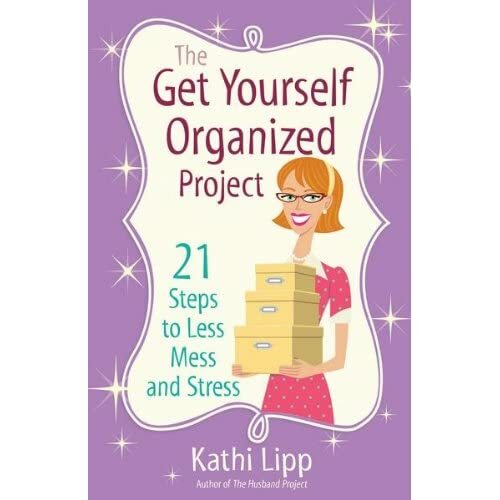 For more excellent tips for getting organized, check out Kathi's latest book, The Get Organized Project: 21 Steps to Less Mess and Stress, from Harvest House Publishers. Dive in to your own purse! Kathi has a contest on her blog with prizes - pop over here to take a look!